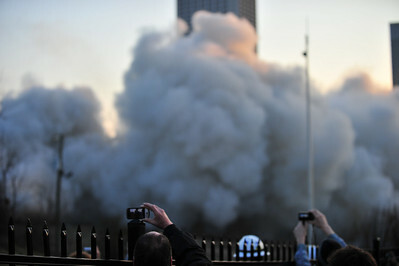 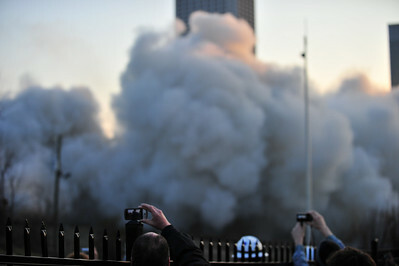 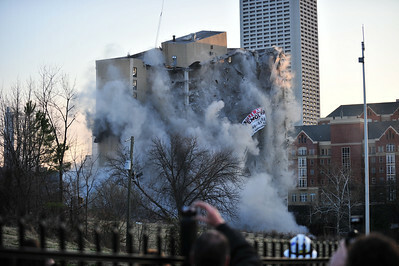 Hundreds of people watched as the Roosevelt House, a public housing high-rise, came tumbling down on Sunday morning as part of a planned implosion. The demolition was part of an ongoing effort by the Atlanta Housing Authority to replace run-down, outdated projects with new communities for low-income families. 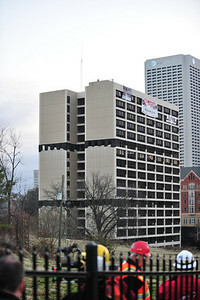 The Roosevelt House was built in the 1973, when Atlanta was leading the nation with the first public housing projects. 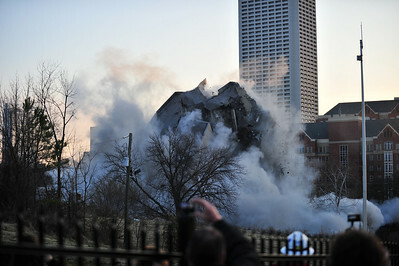 The demolition site sits on Centennial Olympic Drive near North Avenue, right across the street from Georgia Tech's North Avenue Apartments, where about 2000 students live. This is one of the last two Atlanta public housing high-rises slated for demolition. 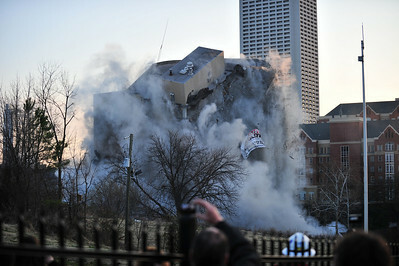 The final one is the Palmer House. Because it sits so close to other buildings, it will not be imploded. 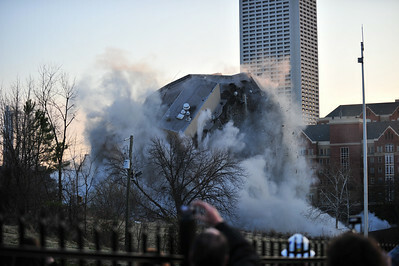 Demolition work inside has already started. 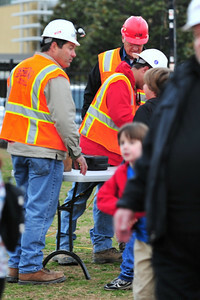 The demolition crew sets up the detonator. 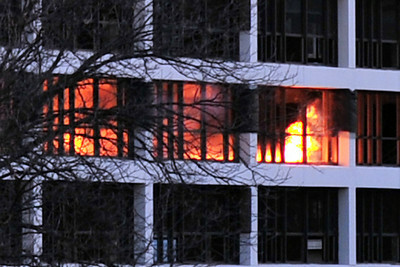 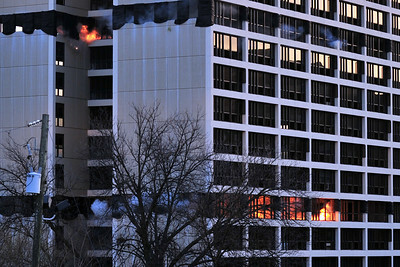 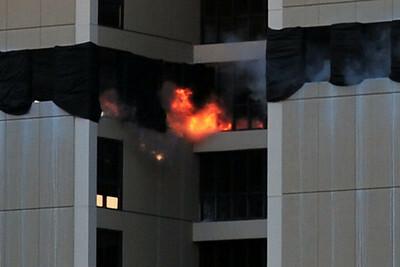 A closer look shows the explosives going off on two of the floors. 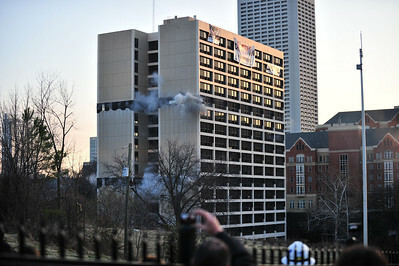 An even closer look at the explosives going off.